SBI lookandfeel template for Easy Blogs css custom templates. Step by step tutorial with illustrations about using the template. 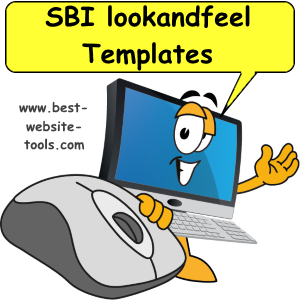 Each SBI lookandfeel Template has it's own corresponding Easy Blogs template. Find the template according to the name of the template that you selected in the Look and Feel Selector at Site Central. 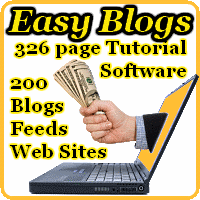 NOTE: Even if you have inserted customized graphics into a particular Look and Feel Template at Site Central, you must choose that template for your blog template. Example: If you have customized Lifestyles template, then download the Lifestyles template. I find that people, who have customized a standard Look and Feel template and changed the file name of their logo/header graphic from the name of the file that is standard in the template, will have to change their template to match the name of your standard graphic. If you have trouble with your customized graphic showing up or trouble with how your template looks, then check whether your logo and/or your side bar graphic file names match the file name in your original template. If you changed the standard name to something different then you will have to code the new template to match YOUR image file name. These are NOT on the first page of the SBI lookandfeel template selector, but are on the "Additional Themes and Styles" Pages!. Please be sure to download this template, i.e for your template (we made this one special)! 3 column CSS styled templates. 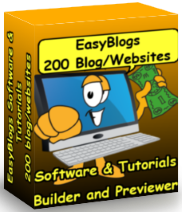 This highly customizable template can be used for any website or Easy Blog. All the parameters that set the look and feel are done in css file.